Lily Razz: Putting it away! I'm very happy with how it turned out, and kinda proud! 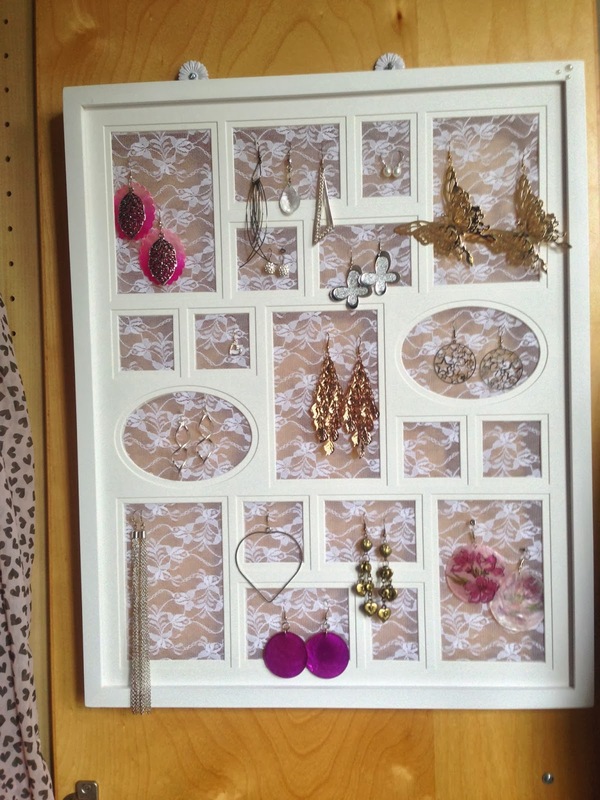 I finally have a place to put all my jewelry! It's not in plain sight and doesn't get dusty, and the best part is that I like returning my jewelry in the right place! Ps. Today is the last day of my Give Away!! Enter while you still can! There you go! That's a creative way to showcase and organize your lovely dangles. 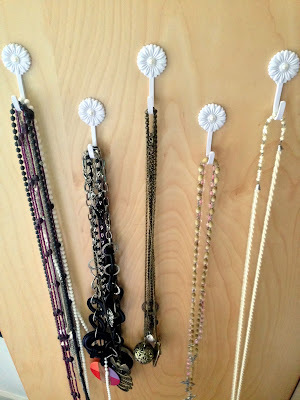 I like the necklace hooks too. Halfway YoP, how about that? Ready, Set, Deliver! // Klaar, af! Crochet Christmas Trees, free patterns!